ANY day you get a new CZ is a GOOD day. congrats on getting "new stuff"
The velocity is much more,, so there's that. More versatile when it comes to longer range accuracy. I actually use my 9mm carbine for coyote hunting, AND it sits in the corner in the bedroom for SD.. So theres that. 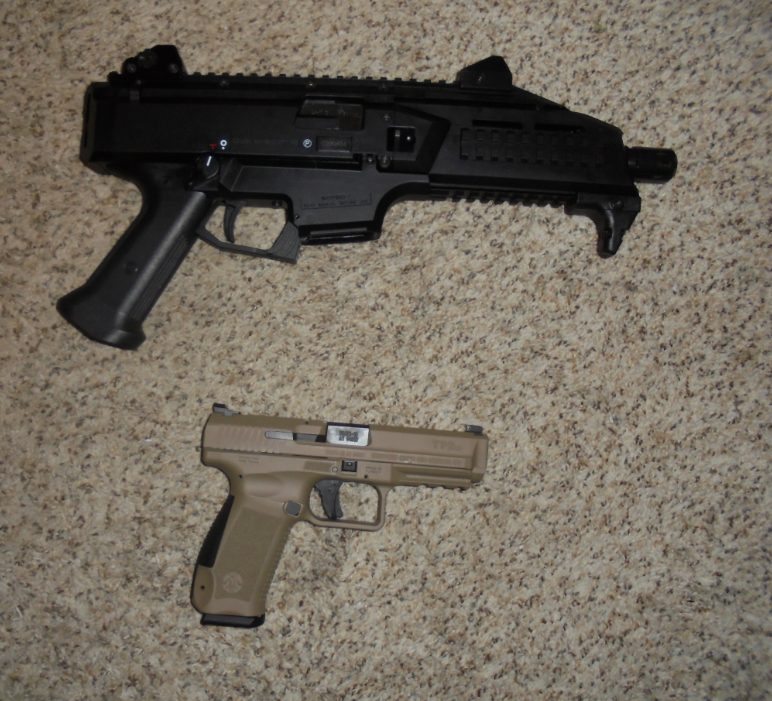 My 9mm carbine is not much louder than a 22 lr, and you can easily shoot it WITHOUT ear plugs if need be, for those who dont have time to install hearing protection,, or the perp wont give you the time out to install. So theres that. No recoil to speak of,, so fast followups are really easy,, So theres that. Finally, its a CZ. One of the highest quality and most accurate out of the box factory weapons built. CZ's hammer forged barrels are so tight they recommend you DONT use subsonic ammo in them. But this also makes their accuracy absolutely SUPERB. That fact alone TOTALLY JUSTIFIES it IMM. . But if you dont have a CZ, you wouldnt understand.